The Avery at 488 Folsom Street in South Beach is expected to be complete in 2019, with 118 luxury condominium residences starting on the 33rd floor of the building. The lower floors of the building will contain 280 luxury apartments as well as 150 affordable apartments. Home sizes at The Avery begin at 964 square feet and range up to 2,064 square feet. Homes are available in one-bedroom, two-bedroom, and three-bedroom layouts. Building amenities include a pet grooming station, valet parking, full-service concierge available 24/7, bike storage, and a bike work station. There is also a lap pool, a fitness center, a yoga room, a sky terrace, media and game room, private dining room, demonstration kitchen, and business lounge. 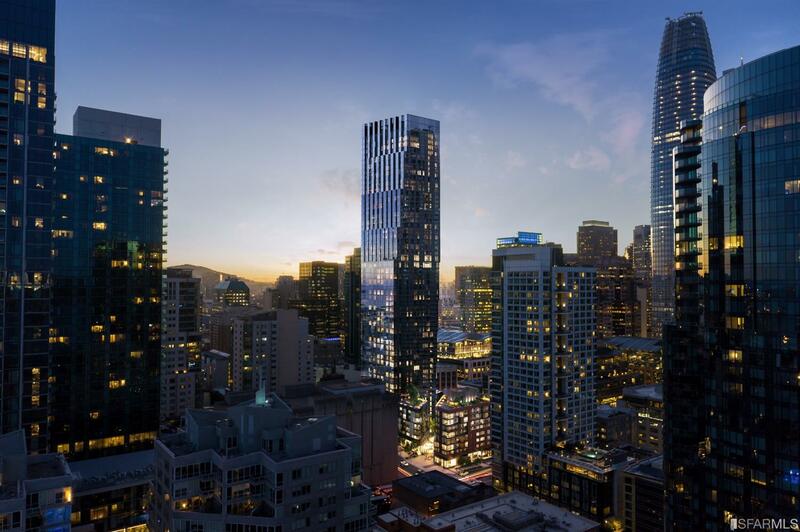 A luxury community of 118 condominiums starting on the 33rd floor of a 56-floor building, The Avery will provide a location just two blocks from the new Transbay Transit Center and the Grand Central Station. The location is just three blocks from the new Salesforce Tower, as well. Pricing for homes in The Avery starts in the high $1 millions for one-bedrooms, the high $2 millions for two-bedroom homes, and the high $3 millions for three-bedroom homes. The Penthouse collection will start around $5 million and HOA fees will range from $1,500 to $1,900 per month. The Avery will provide 24/7 valet parking in an on-site private parking garage, upon completion. In addition, bicycle storage and maintenance stations are a part of the project. Amenities will include concierge service, valet parking, a package room with refrigerated storage, pet spa, storage lockers, exclusive-use car shuttle service, bicycle storage with maintenance stations, and in-home package delivery. There is also a lap pool, a fitness center, a yoga room, a sky terrace, media and game room, private dining room, demonstration kitchen, and business lounge. We do not represent the developer of The Avery. The fine sales team at The Avery represents the developer exclusively, and we provide buyers with independent representation across the city of San Francisco.